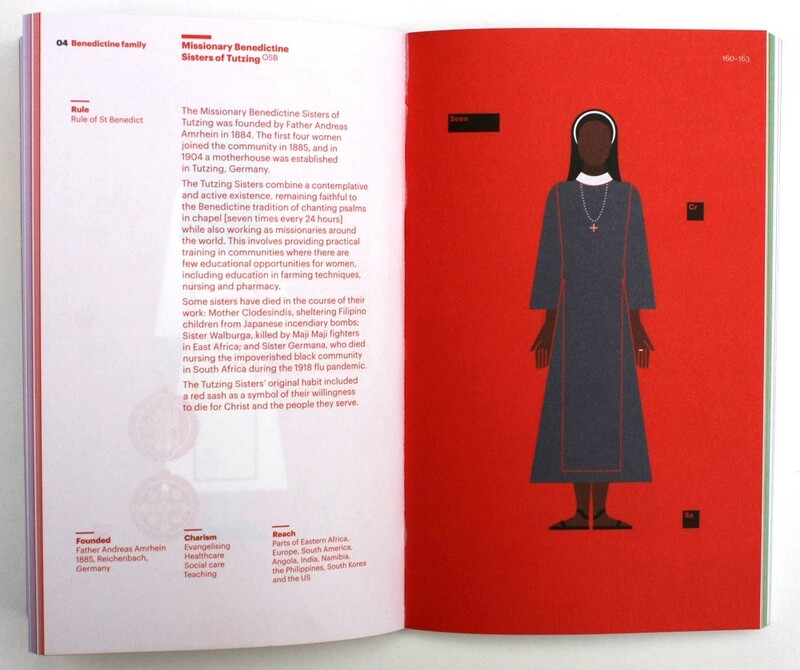 The latest publication from GraphicDesign& is an illustrated spotters’ guide to nuns’ habits. 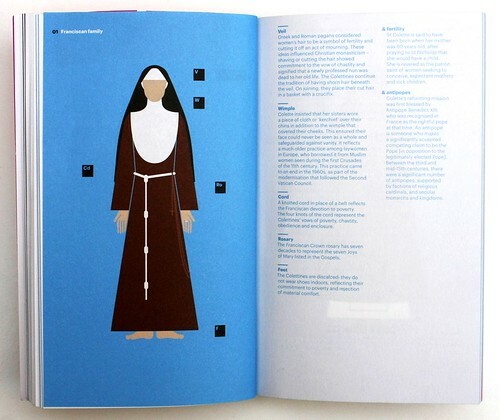 Looking Good: A visual guide to a nun’s habit is full of interesting facts for a curious mind, writes Sarah Snaith. Spread showing how to use the book. Top: Spread showing the Missionary Benedictine Sisters of Tutzing, founded in 1884 by Father Andreas Amrhein. 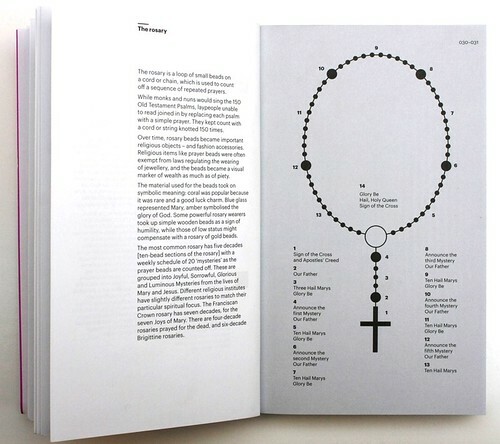 Spread explaining the rosary, the most common of which has five decades made up of ten bead sections. 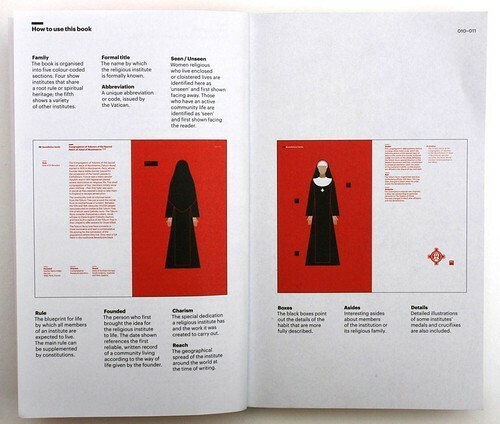 The book was conceived as a ‘spotter’s guide’ and the resulting manual can be used to identify different Catholic institutes by their attire, all depicted by Todd whose illustrations appear to draw on Gerd Arntz’s work for Otto Neurath’s Isotype system. 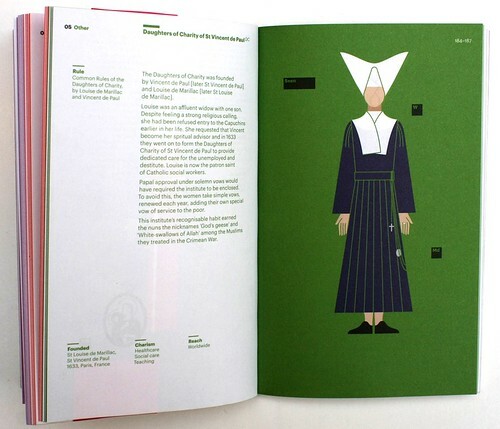 The book begins with instructions on how it should be used before launching into five colour-coded sections: the Franciscan, Carmelite, Augustinian and Benedictine families, followed by a selection of smaller families such as the Order of the Annunciation of the Blessed Virgin Mary and the Sister Ministers of the Sick of St Camillus, among others. Beyond a formulaic investigation of each family, their unique characteristics are also explored with details such as older monks and nuns from the Benedictine family use the sign language they learned in their training in times when strict silence is observed and the Daughters of St Paul have developed interactive apps iMass and Rosary that simulate saying the rosary with the Paulines. Spread showing the Daughters of Charity of St Vincent de Paul founded in 1633. From the outset, GraphicDesign& has aimed to expose graphic design’s relationships with other fields, while tackling publishing projects that were too risky, niche or eccentric for mainstream publishers. 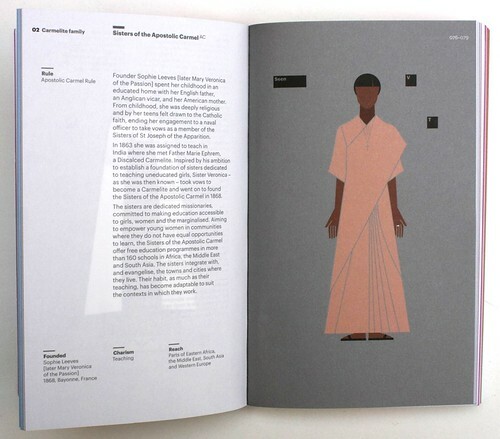 Looking Good is preceeded by Graphic Designers Surveyed (GD& Social Science), Golden Meaning (GD& Mathematics) and Page 1: Great Expectations (GD& Literature), all of which had an appeal with graphic design audiences and beyond. This GraphicDesign& Religion title risks moving away further from the publishers’ core audience, though it remains fascinating in its thorough investigation of the subject matter. Spread showing the Poor Clare Colettines, established in 1410 by a young Franciscan hermit, Colette, later St Colette of Corbie. Spread showing the Sisters of the Apostolic Carmel founded in 1868. 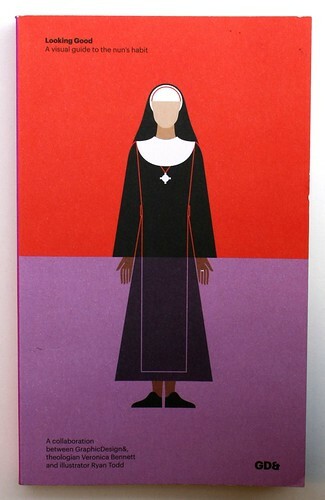 Looking Good: A visual guide to a nun’s habit, GraphicDesign&, £17.50.